The Senate has left for the Thanksgiving holiday week, but will return on Nov. 26 to vote on President Donald Trump’s nomination of Stephen Vaden to be general counsel of the Agriculture Department. The Senate will convene for pro forma sessions today, Tuesday and Friday. Then, on Monday, Nov. 26, the Senate will convene at 3 p.m. proceed to leader remarks and then go into executive session to consider the Vaden nomination. At 5:30 p.m. that day the Senate will vote on the motion to invoke cloture on the Vaden nomination. 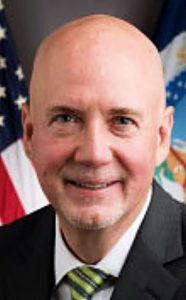 Vaden’s nomination as general counsel is controversial due to his past work for a group seen as advocating restrictions on voting rights and for some decisions made by USDA since he has been working in the general counsel’s office.